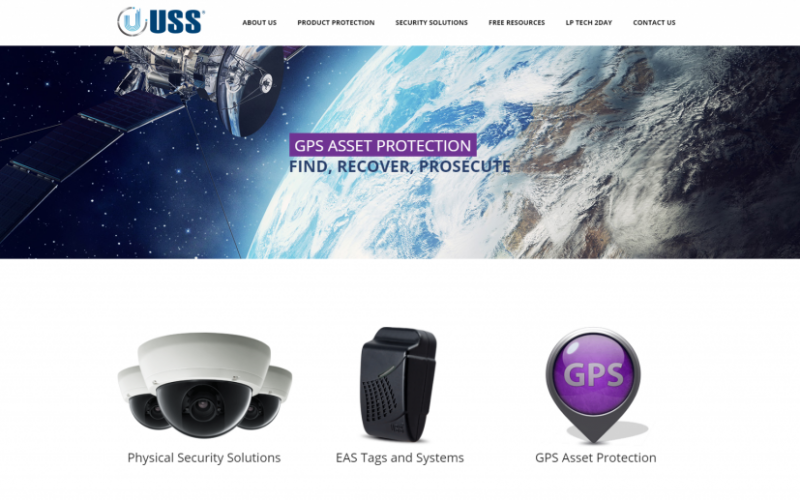 Universal Surveillance Systems needed a new site that would attract clients and convey essential information about their services. They contacted us, Union Square Design, and we gave a total face-lift to their old site. They had a couple crucial needs for their site. 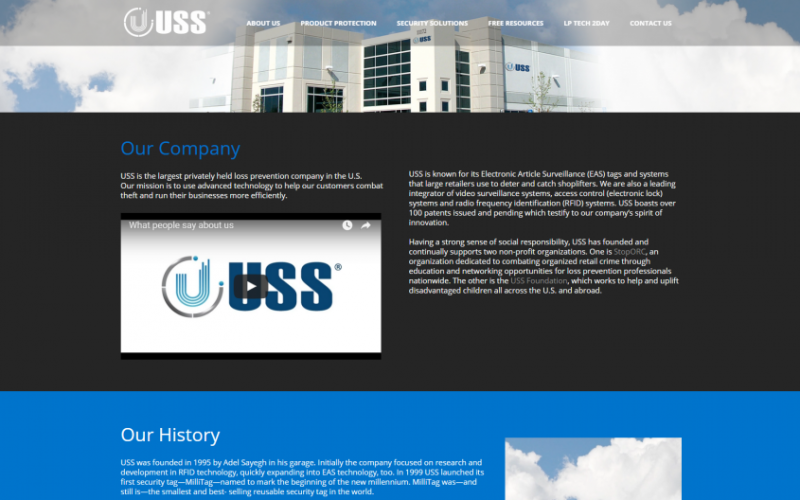 The two main needs were accessibility, and a thorough overview of the many different security solutions that USS offers its clients. USS clients seek many different forms of security, including video surveillance, electronic locks, and radio frequency security. Prospective clients needed help understanding which security systems would be the best solution for their business. They also needed to know how to tailor those different solutions to meet their unique needs. 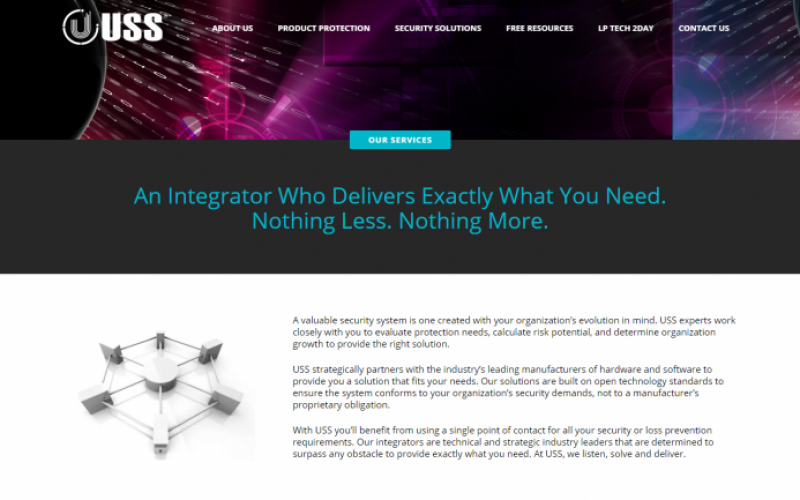 Furthermore, USS offers clients the choice of incorporating outside security equipment into their personalized systems; so information regarding competitors’ security solutions was also needed. Originally founded by Adel Sayegh in his garage in 1995, United Surveillance Systems is now the largest privately-owned loss prevention specialist in the country. USS is most known for inventing MilliTag, the best selling reusable security tag in the entire world. Clients who rely on their services include REI, Burlington Coat Factory, and Sports Authority. 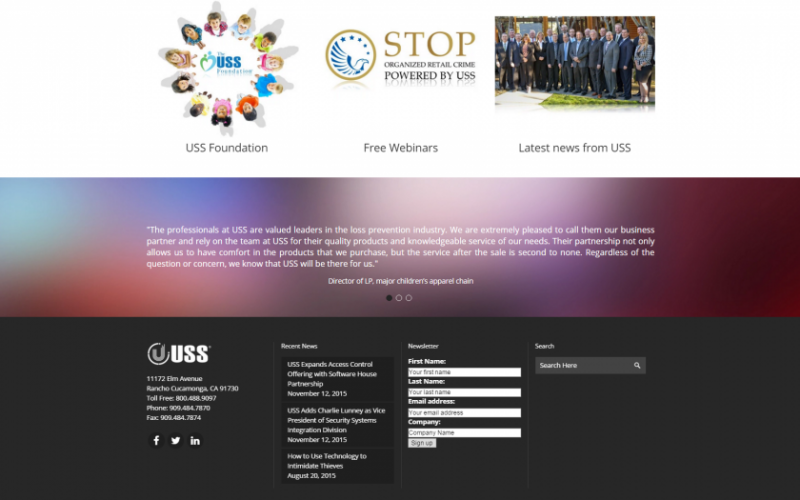 Because USS needed to meet such a variety of security demands, our team at USD simplified the layout to make it easier to read. Also, lots of links were added to the wide variety of options available. These links took visitors to more to detailed explanations of the security solutions. The end product is a powerful, vivid site that fulfills USS’s needs for reaching out to new customers and continuing to grow.